Unless otherwise posted, the Wheatlands Metro District’s Board meets at 6:00 pm, on the second Thursday of the even months, at the Wheatlands’ Clubhouse. For 2019, we will also meet monthly during the summer months from May- August. These business meetings are held to discuss and approve District-related projects as well as review future planning initiatives or other concerns that may impact sound financial management of the community. The public is always welcome to attend any Board meeting. Please know that we will make every effort to post the agenda on our website prior to the meeting. Also, we will post the Board minutes, after formal approval, which typically takes one to two months. Approval of board minutes can only occur at the following meeting which is why there is a time delay for the posting of the minutes. 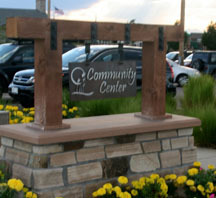 The Wheatlands’ Clubhouse is located at 6601 S. Wheatlands Parkway. Please reference the calendar of events for the next board meeting or any changes to the regular schedule. For districts, official action only occurs at duly noticed meetings of a quorum of the board. p.m – CANCELLED and replaced with January 17th, 2019 at 6 pm. April 11, 2019 @ 6 p.m.
May 9, 2019 @ 6 p.m.
June 13, 2019 @ 6 p.m.
July 11, 2019 @ 6 p.m.
August 8, 2019 @ 6 p.m.
October 10, 2019 @ 6 p.m.
December 12, 2109 @ 6 p.m.